School of Public Health Dean Max Michael and program manager Chenoia Bryant show the benefits of the curved blackboard wall at the Edge of Chaos. But his vision — or ideas shaped by conversations with faculty from all parts of campus — screams the opposite. He has had a dream for some time of a place on campus that invites disorder, near bedlam, approaching pandemonium. It’s a place that pits the mind against the unpredictability that can lead to utter confusion. It’s a vision that gives people the opportunity to run right up to the edge of, well, chaos. Now that Michael has hung the welcome sign to this new space, dubbed the Edge of Chaos — where he envisions brilliant minds gathering to share ideas and develop solutions to local and global problems — another feeling has crept into his mind. The Edge of Chaos, located on the fourth floor of Lister Hill Library, is open and ready for faculty, staff, students and community members to use. The space includes conference and media rooms, sofas and desks, glassed-in offices and other amenities to stimulate thought. “Here” is the fourth floor of Lister Hill Library, where the Edge of Chaos is open and ready for faculty, staff, students and community members to use. The space includes conference and media rooms, sofas and desks, glassed-in offices and other amenities to stimulate thought. The official grand opening is scheduled at noon Tuesday, Oct. 23, when author Steven Johnson will deliver the School of Public Health’s annual Samuelson Lecture. Johnson, the bestselling author of Where Good Ideas Come From, will speak on good ideas and examining the sources of creativity in all of us. That’s ultimately what Michael wants — a place in which people from the community can gather, tap their imaginations, examine problems and solutions or develop new ideas. Confronting and investigating what Scott Plutchak calls wicked problems — those big, complicated problems that are difficult to get your arms around — requires bringing people from different disciplines together in an environment that fosters their creativity. 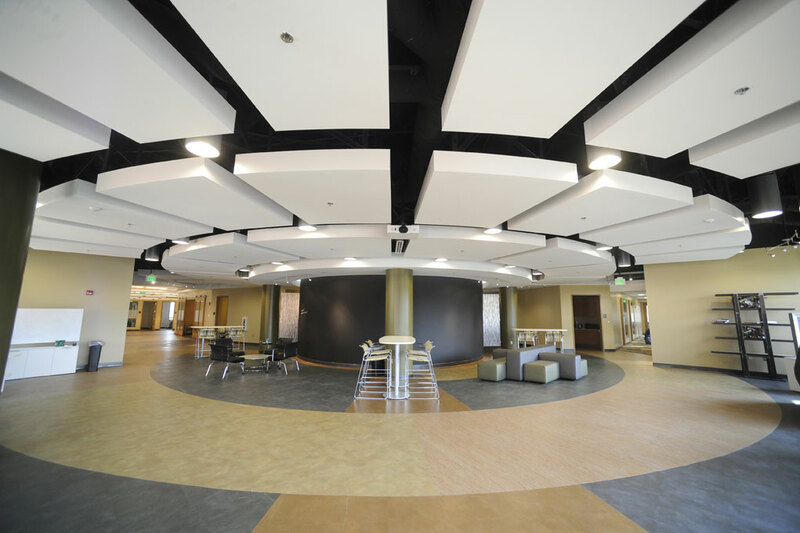 Plutchak, the interim director of the Edge of Chaos, sees the space as an ideal fit for UAB investigators and community thinkers to come together. 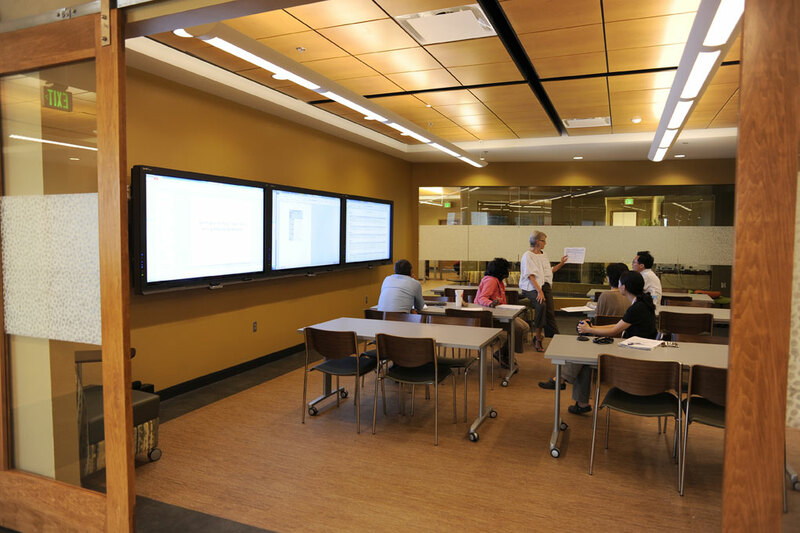 Epidemiology Professor Elizabeth Delzell and the Pharmaco-Epidemiology and Economics Research (PEER) Group have been utilizing the smart boards in the Edge of Chaos this summer. Several groups used the space this summer, including The Birmingham Business Alliance, BarCamp and Johnston Barton Law Firm. The Edge of Chaos also will host the global Ignite Birmingham session Thursday, Sept. 20. Two UAB groups — the Office of Energetics and the Pharmaco-Epidemiology and Economics Research (PEER) Group — have offices located in the Edge of Chaos. Part of PEER’s work uses the tools available at the Edge of Chaos to work with other groups around the country. Of course, Michael has an idea for encouraging the UAB community to work on issues of importance, and a campuswide “Wicked Problem Challenge” is in the development stage. The challenge will be modeled after the School of Public Health’s Back of the Envelope Awards and will give each school the chance to pick a wicked problem and create a team to work on it for an academic year. Faculty, staff and students interested in using the Edge of Chaos can contact Chenoia Bryant, program manager, at chenoia@uab.edu. If you’re interested in seeing the space, Michael says to come on by. He’s eager to see what might be created from visiting.